Sooooo this week I came home to a real treat. Well, a real treat for me. No it wasn't flowers, lingerie, dinner, or a surprise vacation. It was these two!!!! The hubs brought these home for me!!! He won't tell me where he got them, so I know that there are other goodies in his secret spot or he's doing something illegal to get em. Either way, SUPER PUMPED. I started on one of them today. I sanded the entire thing down with my NEW Dewalt hand sander :) I got it at Lowe's and have had it hidden in my closet. WE don't share tools in this house. Next I painted the entire frame with Valspar Swiss Coffee. It's the my favorite color paint to start with for any re-finishing. After one coat, extremely light handedly (please add that to your vocabulary), I let it dry. Then with an old sock, I pushed around Minwax English Chestnut stain. I wiped it off and lightly sanded it one more time. I hear Etsy calling my name!!! 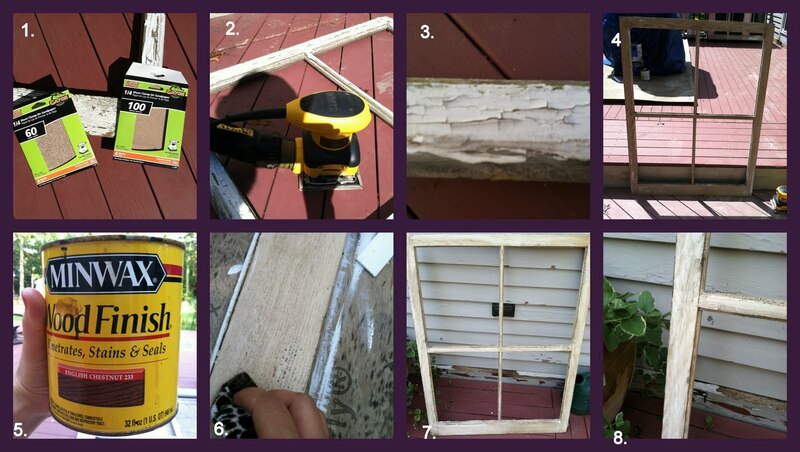 Happy DIY-ing!